We can pop into your home as often as you require throughout the day to ensure your furkids are well, and if required feed them as needed. Home Visits offer a stress free alternative for your pet, they are ideal if your pet is older and likes the comfort of home compared to a kennel or other boarding establishment. We are also happy to water plants, close curtains, collect post, turn lights on or off and put out your bins for collection should you require it. 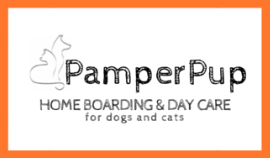 Please feel free to contact Mindy at 011 3311 8945 to book your pet home visits today.